Adam Cifu is a Professor of Medicine at the University of Chicago. He is originally from New York City. He earned his BA from Haverford College and his MD from Cornell University Medical College. He did his residency in internal medicine and a year as the Primary Care Chief Resident at the Beth Israel Hospital in Boston. Dr. Cifu is a general internist who divides his time between clinical practice, medical student education, and scholarly work related to evidence-based medicine. He co-directs the Third Year Medicine Clerkship and directs a course for fourth year medical students, Critical Appraisal of the Landmark Medical Literature, and a course for first year students, Introduction to Medical Evidence. He is the co-author of two books: a textbook on clinical reasoning, Symptom to Diagnosis: An Evidence Based Guide and a book for the lay audience Ending Reversal: Improving Outcomes, Saving Lives. He is a deputy editor of JAMA’s Clinical Guidelines Synopsis series. His honors include the Department of Medicine Award for Clinical Teaching in 2006, 2011 and 2016 and the Distinguished Educator/Mentor Award for the Biological Sciences Division of The University of Chicago in 2016. 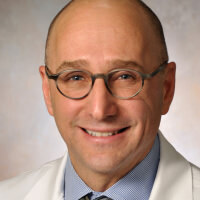 He is a Senior Faculty Scholar in the Bucksbaum Institute for Clinical Excellence and a master in the Academy of Distinguished Medical Educators at The University of Chicago and has been selected as a Favorite Faculty Member by the graduating class of the Pritzker School of Medicine 14 times. 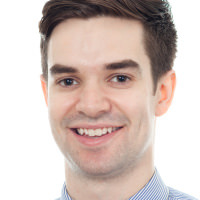 Mike completed his internal medicine training at the University of Toronto and was Chief Medical Resident at St. Michael's Hospital (2015-2016) in Toronto, Ontario. He attends at St. Michael's as a hospitalist and is currently completing an MSc at the T.H. Chan School of Public Health and a Research Fellowship in the Program On Regulation, Therapeutics, And Law (PORTAL) in the Division of Pharmacoepidemiology and Pharmacoeconomics at the Brigham and Women's Hospital. He is also completing the Eliot Phillipson Clinician Scientist Training Program at the University of Toronto. Adam founded The Scope, a weekly newsletter that summarizes top medical research into easy-to-read sentences with humor, in January 2016. The project aims to make medical education more fun and less formal, and to unlock the excitement of current medical research for a broad, non-specialist audience. The authors are a group of 6 internal medicine residents. Adam is a PGY-3 at Columbia University's Internal Medicine Residency program and will soon begin training as a hematology / oncology fellow at Memorial Sloan Kettering Cancer Center. Paul Bain has been a Research and Education Librarian at Harvard Medical School's Countway Library since 2004 where he provides instruction and support for both bibliographic and bioinformatics resources. 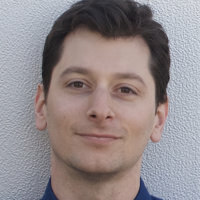 An expert searcher, he has collaborated in the production of many systematic reviews and meta-analyses, and he has served as an advisor and collaborator for Web-based information resources including the Alzheimer Research Forum, the Schizophrenia Research Forum, and, most recently, the Partners ID Images infectious disease case atlas. Paul completed his Ph.D. in Molecular and Cellular Biology at the University of Michigan in 1993 and his M.S. in Library Science at Simmons College in 2003.